Aug - 01 | By: Eric Nordby | no comments. Centered around music licensing and scoring original music, Marmoset is a Northwest music agency aiding filmmakers in creating remarkable soundtracks for every project. And with a roster of vintage to independent and emerging artists, Marmoset is equipped to match music to picture on any and every scale. 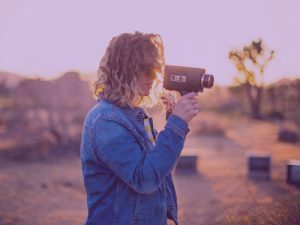 With strides toward helping artists gain exposure and earn a living from their music, we’re also continuously seeking ways to extend our support to our filmmaker community. It’s why we jumped at sponsoring StudioFest, an event that’s reimagining how festivals operate to better support filmmakers. Think of it this way — with most festivals centering around short form mediums, it’s challenging for artists to figure out what happens next once the festival circuit finishes. Even if a short film is well received, the hurdles for branching into feature filmmaking are endless. And we’re not even brushing the topic of budgeting for a 90-minute movie. This all being said, there’s often no place for artists to flex their creative muscles between this transition from short to feature length filmmaking. It’s a big leap for many (unless you have industry connections). Identifying such an industry gap, we knew we had to contribute to the cause, which is why we’re joining forces with StudioFest. The groundbreaking festival’s mission is to support filmmakers and writers in developing their debut feature. It’s a one-of-a-kind experience for newcomers to dream larger, being able to bring their art to life on the feature length scale. 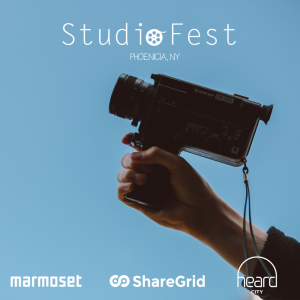 StudioFest is set to host five short filmmakers and five feature-length screenplay writers at the Graham and Co. Hotel in the Catskill Mountains in Phoenicia, New York. At the end of the festival, one film director and one screenwriter will receive the opportunity to partner with StudioFest in making their first feature film.